If you need a replacement gutter on your home in Mason, Tennessee, call on the seasoned professionals at 31-W Insulation. 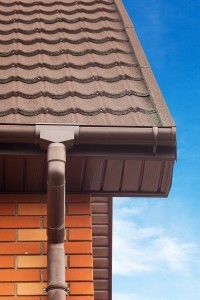 Since 1972, we have been helping homeowners throughout the region improve their homes by offering a variety of services, from designing closet organizers to installing seamless gutter systems, so you can be confident that we can install your gutter replacement system using the enviable skills we have honed over the years. The seamless gutters offered by 31-W Insulation are made by Spectra Metals, a leading name in the industry. Constructed from tough aluminum alloy, these gutters are made for longevity. They are also less prone to leaking than traditional gutter systems due to a lack of seams, which tend to come apart over time. And this lack of seams makes for a cleaner, more attractive look along the edge of your roof. These gutters also come in more than 20 appealing colors so that you can find the one that best suits the exterior of your Mason, TN, home. Your seamless gutters will be measured and cut onsite to achieve a perfect fit on your home, thus minimizing the risk of leaks. Your new gutter system will be backed by a 20-year limited manufacturer’s warranty for added peace of mind. Aside from these features of our gutter replacement services, you will benefit from our commitment to total customer satisfaction, which is reflected in our longstanding A+ rating from the Better Business Bureau. Contact 31-W Insulation when you’re ready to get started on installing a replacement gutter system. Our team can visit your in Mason, TN, for a free consultation to discuss your needs and answer any questions you may have.